Recently I had guests for lunch. Guests from Turkey. Pretty special, don’t you think? 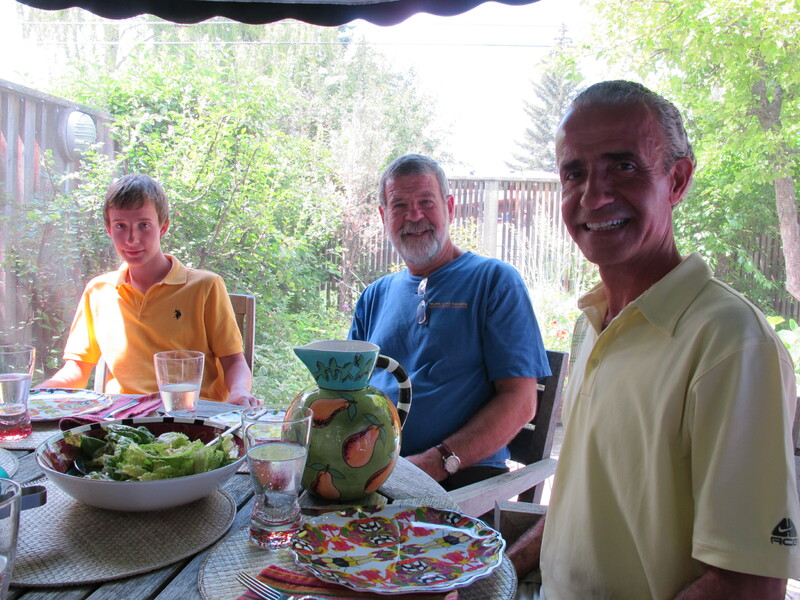 My friend Mehmet and his lovely family are being hosted by my good friends, Catherine and Jack. I was delighted that they could fit in a visit as their schedule is fully loaded – just like a good tour. Mehmet is a tour operator in Turkey, and he is an excellent guide. He makes history come alive, and his knowledge of Turkish culture, geography and history is amazing! He has great connections and knows how to look after people. If you want the best experience possible in Turkey, you should get in touch with Mehmet at Turfantastik. I know that my friends are being wined and dined (figuratively if not literally) for the 3 weeks that they are spending in Canada, so I wanted a light yet tasty lunch that everyone would enjoy. 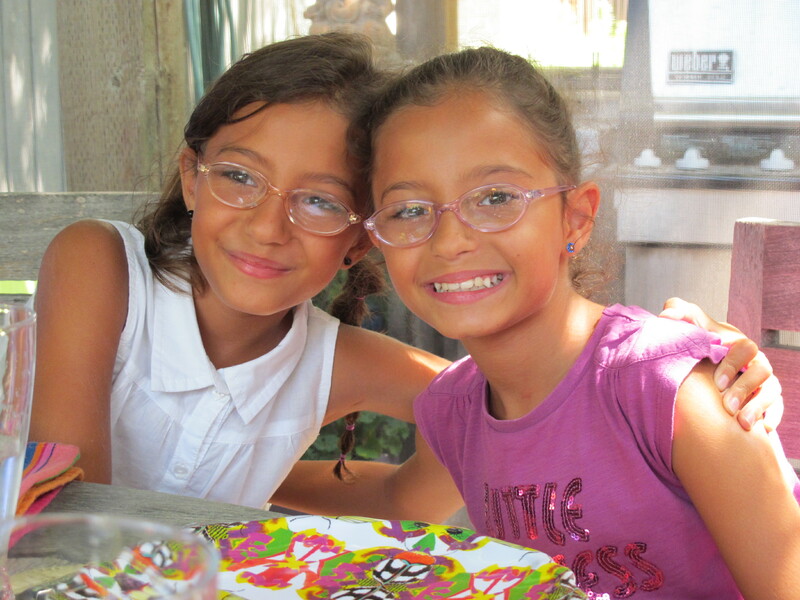 Mehmet and Ozlem’s twin girls, Sezin and Selin, are 9 years old, so I didn’t want to serve anything that would be too weird for them. Their son, Onurkan, is 16 and going to attend camp here in Canada for a week. I figured he should get used to eating anything that comes along, since that’s the way it will be at camp. Look at these cuties! This trip is a great adventure for the whole famiy and I’m glad I could be part of it. Speaking of cuties, take a look at these veggies. I dare you to show me a better looking plate of vegetables. I mean really, isn’t it beautiful? (I can only talk this way because we’re friends.) We dined on the deck. The vegetables turned out well (the onions were unbelievably sweet). 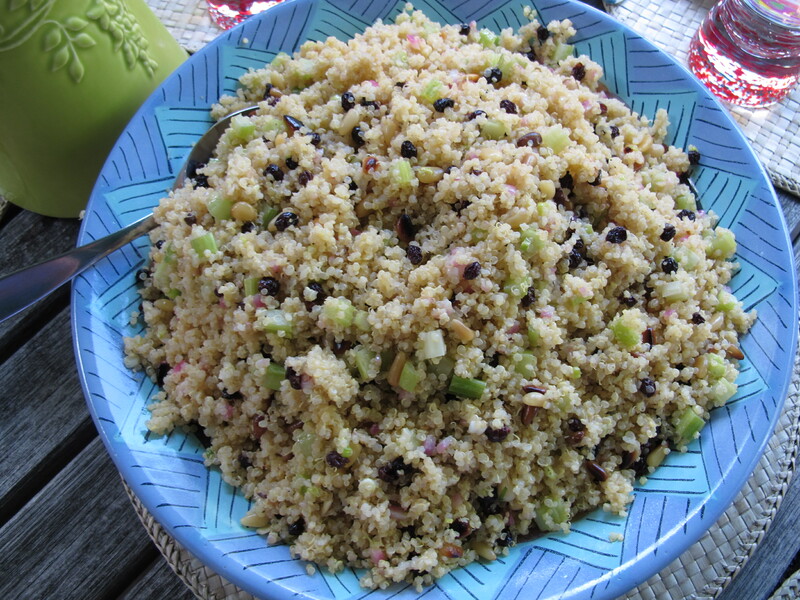 I thought some lightly dressed greens would be nice along with a simple quinoa salad. I was even almost ready when everyone arrived! 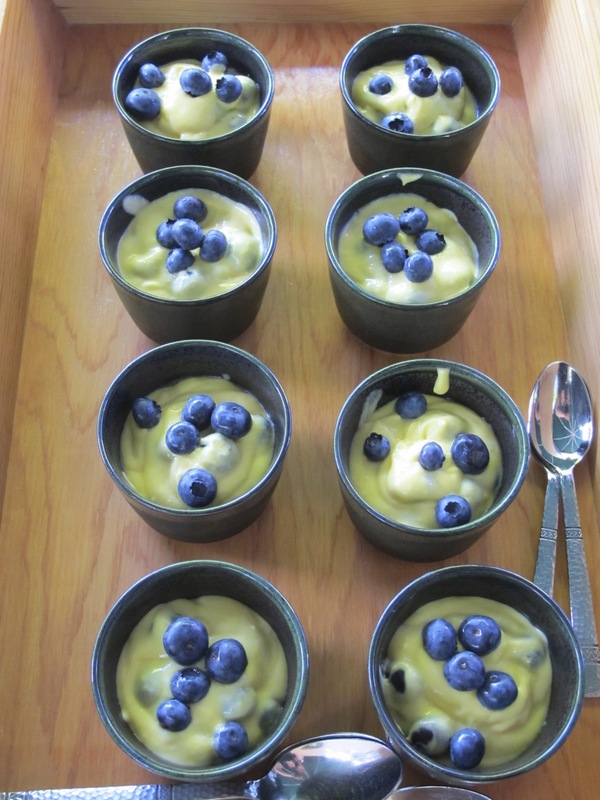 We finished our lunch with mango fool and fresh blueberries. 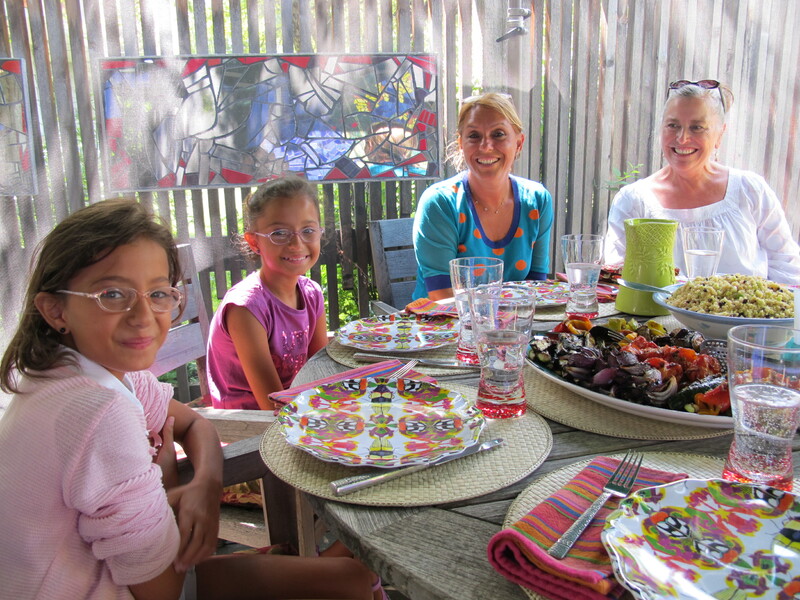 With good food, great friends and glorious weather, it was a wonderful lunch. I’ll be posting recipes for the menu as I find time. I totally agree, those veges look GOOD! Yes, that was definitely a delicious plate of veggies! I felt myself filling with fiber and goodness just looking at it! In a good way, right? Thanks for commenting! I know that – I follow your blog and you have some great recipes! I guarantee that your friends will not forget that beautiful lunch – there’s a whole lot of joy in those photos. Thanks. Glad you could feel it! Looks like you guys had a wonderful get-together! 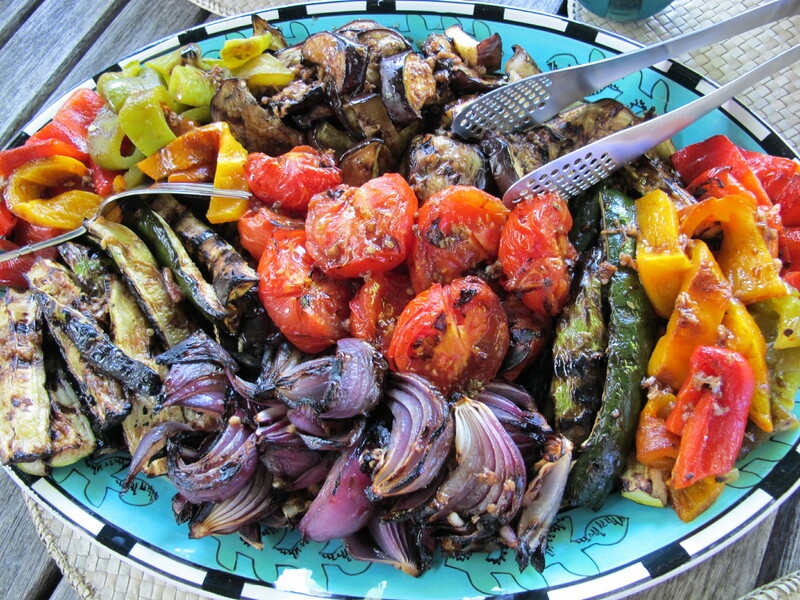 The roasted vegetables look gorgeous…and the quinoa salad looks even better!! Thanks. It was fun. 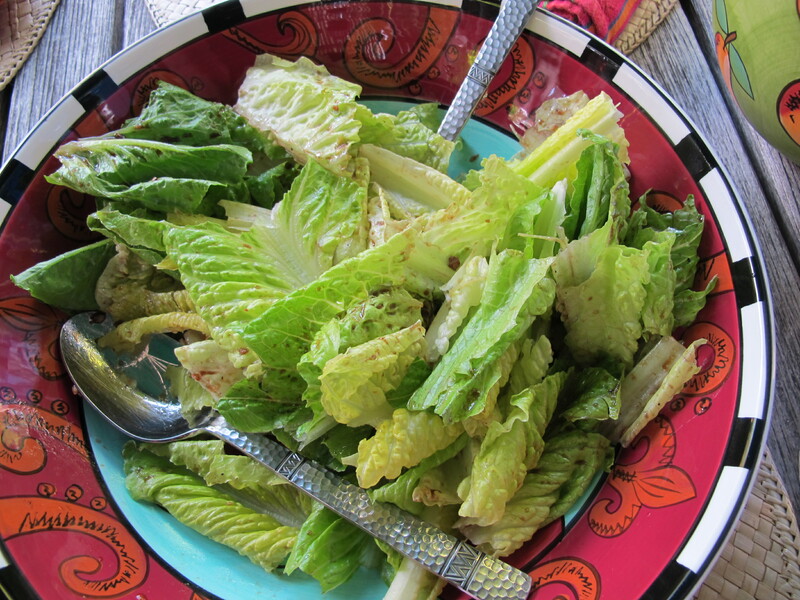 The salad recipe will be out on Saturday. I was very impressed with it and know I’ll make it again soon. Thanks so much. I was pretty pleased with the whole event. I’m lucky to have such good friends to entertain! If vegetables could ever make the cover of Vogue, my vote would go with that gorgeous platter you served! Thank you so much. What a shame that Gourmet magazine went out of business! Thanks. It was a great lunch – so much fun. take it from me – lunch was amazing! Terri I was thrilled that you would take the time to make such a great meal after your huge weekend with the reunion. thank you!! we send our greetings from Saltspring Island where we are receiving yet more great hospitality from W and S – the ‘smores’ last night over the fire pit were a huge success with the girls…. I still think you should have taken me along to document the trip. I mean, aren’t you and Mehmet too busy taking photos of other things? Glad the trip is going well. Keep up the good work! What a beautiful family! And your lunch looked divine! Thanks. It was a great get together, and it’s so fabulous when the weather cooperates too!